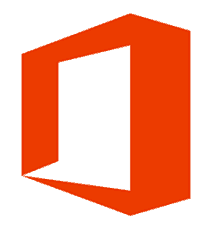 Microsoft Releases Office 2013 SP1 - Have you Updated Yet? Microsoft Releases Office 2013 SP1 – Have you Updated Yet? Microsoft released Office 2013 SP1. The update includes several fixes and updates. Have you installed it yet? Microsoft released the first service pack for its Office 2013 suite back in February via its auto-update service. The update provides a lot of bug fixes as well as general stability and functionality updates. To ensure you have the update, take a look in Programs and Features in the control panel and confirm the version for Office 2013 is 15.0.4569.1506. The update for Microsoft’s latest Office suite (a suite which we’ve covered extensively here on groovyPost) should already be installed on your computer, provided Windows Update is set to download and install updates automatically. If it isn’t, you can always check for the update yourself – here’s how to do it in Windows 8. Regarding what’s new, don’t expect anything too spectacular. The Office 2013 SP1 is aimed at improving stability functionality and security in both Office and SharePoint Server, as well as in products it interacts with. That’s why, while you may not notice visible changes, you might realize that things are working better and are much more stable. For example, some of the stability fixes included are for Windows 8.1 and Internet Explorer 11 and some modern hardware has better support (Microsoft mentions high DPI devices and the precision touchpad). So just a quick update to take a look and grab the update if you don’t already have it installed. Thanks for the heads-up Brian. MS Office 2013 is overkill, but for me it’s the best Word yet. I love the way the letters are displayed.